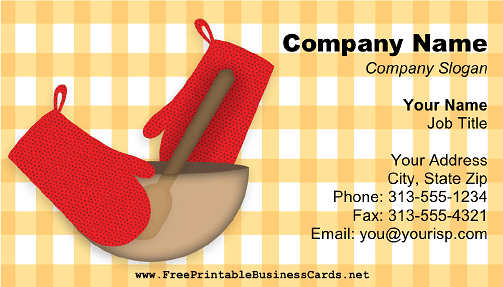 This printable business card shows an array of cooking utensils such as a mixing bowl and oven mitts. Great for a personal chef, cooking supply store, and more. The background is checkered yellow, similar to a tablecloth.